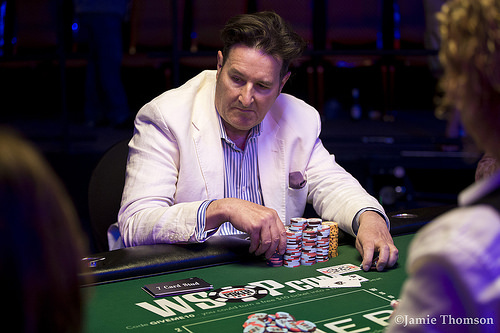 Gerald Ringe raises from the small blind, and Marco Johnson three-bets from the big blind. Ringe reraises all in, and Johnson calls. Both hands are tabled. Johnson has a pair of sevens, and the nut low, and Ringe is eliminated in third place. He earns $108,924.